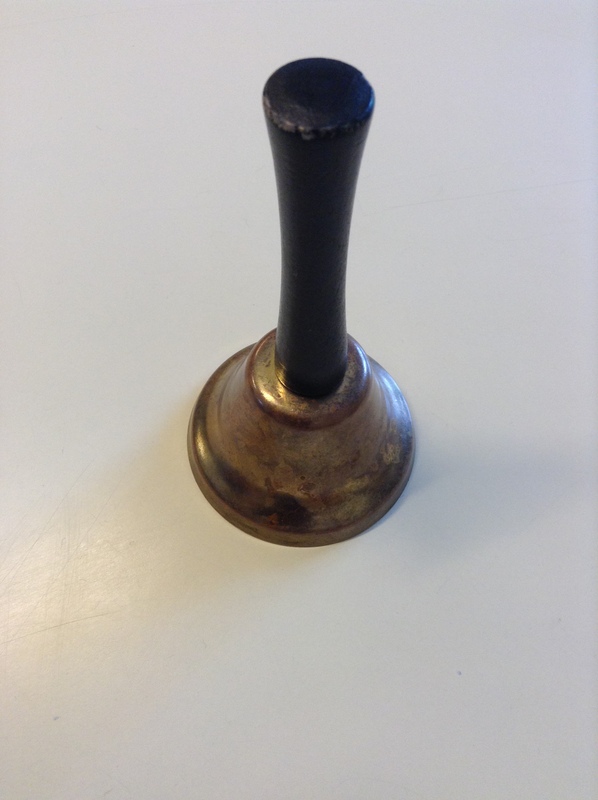 The Bell has many talents; the first and most obvious is to get the students’ attention, usually when I want to bring a pair or group oral activity to an end. However its magical powers don’t stop there, it is also useful to stop talking in general. It can be rung with great vigour when necessary, my students hate this, which surprises me as I find its clanging less annoying than the constant buzz of their chatting. It can also be rung gently, sometimes gently at first, getting louder as they get quieter, or sometimes good clang or two to start, and then a little gentle glinging ( I like this word, do you?) while the students get back to their places. Sometimes I give a little jingle if I hear L1 during an “English Only” exercise. 1. I never strain my voice or get a sore throat. 2. I don’t shout, shouting always sounds angry, and this stresses the students, and myself. 3. This is the best part – when I do shout IT MEANS I AM REALLY NOT VERY HAPPY and that gets results very, very quickly. If you teach YL, teens or even a large adult class then I really suggest you get some form of Bell, Carol Read uses a tambourine, I also have a mini whistle in my pencil case (that’s really ear-splitting! ), find something that you are comfortable with. Save your voice for something important, after all, it is your most important teaching tool.